Boil water in a large vessel. 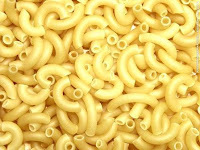 When the water is boiling hot add the macaroni and little salt. Cook until soft. 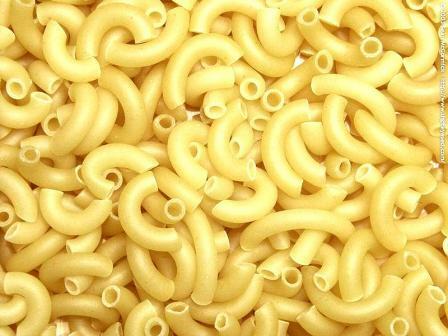 Strain the water and run cold water on macaroni and keep aside. Spray or apply oil on a baking tray and keep aside. Heat a kadai or wok, add oil, add onion, ginger garlic paste and pepper powder. Fry well until onions are golden brown, now add tomatoes and fry well. When oil leaves the sides, add paprika powder, salt and dry herbs. Stir well. Add 1/4 cup of water, and allow to boil. Now add the cooked macaroni and keep stirring. Now remove the kadai from heat and keep aside. Add 1/4 cup of cheese to the macaroni and mix well. The cheese will start melting due to the heat. Transfer this to the baking tray. Spread evenly with a spatula. Now sprinkle remaining cheese on top of the macaroni. Place the tray in the oven. Bake for 6 mins, until the bubbles start forming on the surface. Now switch the oven to Broil mode. Broil for 3 mins or until the cheese has turned to golden brown color. Remove from oven and rest it for 5 minutes. Now take a knife and cut into pieces. With a flat spatula remove each piece and serve on a plate.